Came across this piece by Photo District News detailing the backstory behind a series of still and moving images by New York City-based photographer Evan Abramson about Indigenous water conflicts near the Kenya/Ethiopia border. Entitled “When the Water Ends: Africa’s Climate Conflicts,” Abramson’s work was transformed by the production studio MediaStorm into a compelling multimedia presentation hosted at Yale Environment 360. The inter-tribal conflict — involving “the Turkana of Kenya and the Dassanech, Nyangatom, and Mursi of Ethiopia” — has been touted as one of the most glaring examples of how Indigenous peoples have ended up on the front-lines of the effects of climate change. 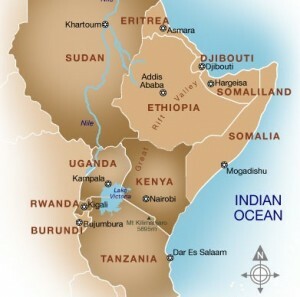 of the Ethiopian-Kenyan map in a video we are producing to help Ethiopian refugees resettle in the USA?